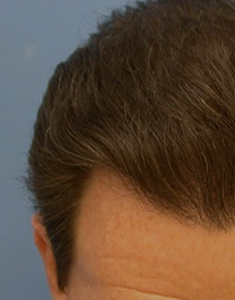 The two most common methods for hair transplants are FUE and FUSS. FUE stands for Follicular Unit Extraction, while FUSS is used to refer to Follicular Unit STRIP Surgery. The difference between these two procedures is rooted in how hair is extracted. For a STRIP procedure, a large strip of scalp must be cut. Once the incision is stitched shut, grafts can be taken from the strip that was removed. 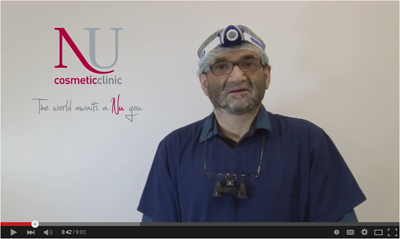 The big drawback to this approach to hair transplant is it results in a long scar line. While the scar can be covered by a long hairstyle, it prevents the opportunity to wear hair in a shorter style. What’s even more concerning is that FUSS significantly reduces the amount of donor hair that’s available. 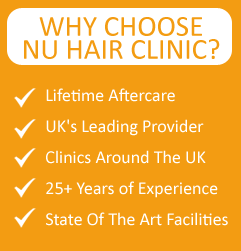 As a result, a patient may have a difficult time ever fully restoring their hair. Originally, men who were struggling with hair loss had to settle for the FUSS procedure. Even though there have always been downsides to this procedure, it was the only available option. Fortunately, the field of hair transplants has seen great progress. The result of this progress is FUE. What makes FUE such an appealing procedure is it specifically addresses the issues associated with Follicular Unit STRIP Surgery. 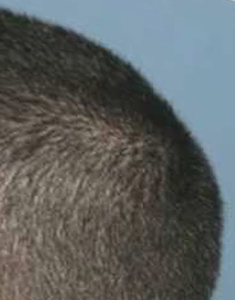 Instead of requiring a strip of scalp to be removed, FUE makes it possible to extract individual follicles. Not only does this drastically reduce the amount of time required to recover from a hair transplant, but it also means that there won’t be a scar. The absence of a noticeable scar means men can enjoy changing their hair length between short and long. And because FUE doesn’t require cutting or scalp removal, it’s possible to harvest significantly more hair with this procedure. With FUE, men can enjoy a hair transplant procedure that’s minimally invasive and has a lower complication rate. This procedure does not create a large scar on the back of the head, which means that men can shorten or even shave their hair in the future. Because harvest sites aren’t permanently damaged, it makes any future procedures easier to complete. To top things off, FUE has a shorter recovery time. Although FUSS used to be a common choice, its invasive nature means it’s no longer as appealing. Going this route also comes with a higher complication rate. To make things worse, it leaves a large scar on the back of the head. Not only does that type of scar have a less than ideal look, but it also means that future grafts will be limited. And because Follicular Unit STRIP Surgery is more invasive, it takes longer to recover. If you want to enjoy all the benefits of improving your hair but don’t want to deal with lots of complications, setting up a consultation for a FUE hair transplant is the way to go. This entry was posted on Monday, November 10th, 2014 at 3:15 PM	and is filed under Follicular Unit Extraction, Hair Loss Treatment, Hair Transplant, Hair Transplant News. You can follow any responses to this entry through the RSS 2.0 feed. Responses are currently closed, but you can trackback from your own site.